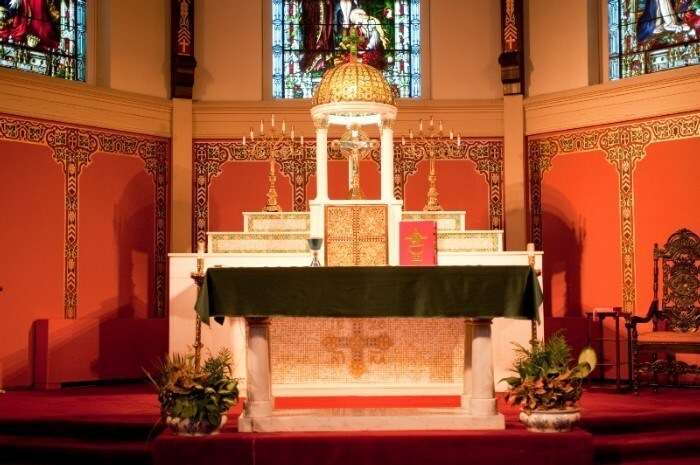 Saint Dominic Parish, in Oyster Bay, Long Island, New York has been a beacon of hope and place of prayer, worship and celebration for more than 120 years! After that, Mass was celebrated in Oyster Bay once a month by the pastor of St. Patrick’s Church in Glen Cove. 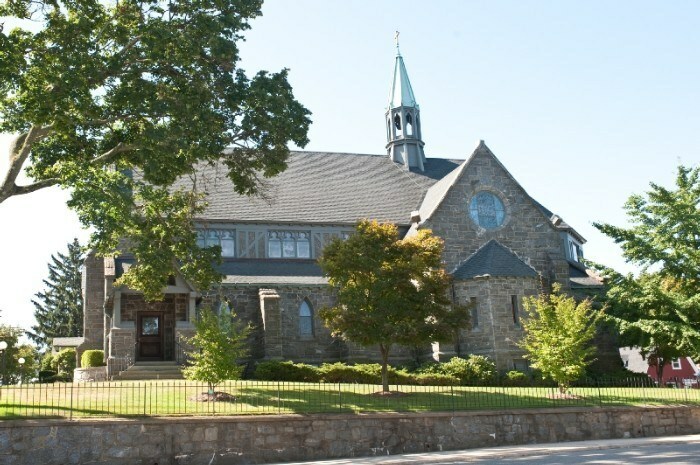 St. Patrick’s is the oldest parish in what is now the Diocese of Rockville Centre, i.e. Nassau and Suffolk. After using a private home, the visiting priest eventually rented a hall for the monthly Mass (for $2.00!) on the corner of West Main and South Streets. The first Catholic Church was located on property acquired on Baylis Hill from Matthew Brady in 1870. The wooden frame structure was built on what is now Summit Street for $6,000, and seated 250. St. Dominic’s founding pastor, Father John Belford, arrived at the end of 1894. One of the first things he set about doing was raising funds to construct a church. President Theodore Roosevelt was proud to assert that he was the first to contribute to the building fund. Within three years, the parish’s beautiful stone church, our current chapel, was completed. It was dedicated on Thanksgiving Day, 1897 by the Bishop of the Brooklyn Diocese. In May 1914, Reverend Charles J. Canivan was appointed pastor. At that time, the town of Oyster Bay grew rapidly, bringing a population increase. Father Canivan’s first project was to have the basement of the church enlarged to provide space for the Sunday school. (This space is now the Silveri Conference Center.) In 1916, Father Canivan bought property on Anstice Road, envisioning its use for a school. Click here to read a brief history of the Schools of Saint Dominic. Father Canivan was also a close friend of President Roosevelt. He frequently quoted President Roosevelt in his sermons. Their friendship was instrumental in fostering the mutual regard between the Protestant and non-Protestant churches in Oyster Bay. This early ecumenism preceded the ecumenical goodwill existent today. After the mourned death of Father Canivan in 1944, Reverend M. Vincent Short was appointed pastor, who made artistic changes to the interior of the church, improved the grounds of the church and school, and built a convent for the Immaculate Heart Sisters. Reverend James E. Collins became the pastor in 1964 and immediately sought to address the overcrowding of the church and schools due the significant population growth on Long Island. In 1968, ground was broken for the new church and the adjoining elementary school. The new school also provides unified facilities of St. Dominic’s C.C.D. program.The new church was dedicated by Most Reverend Walter P. Kellenberg, Bishop of Rockville Centre, in 1970.